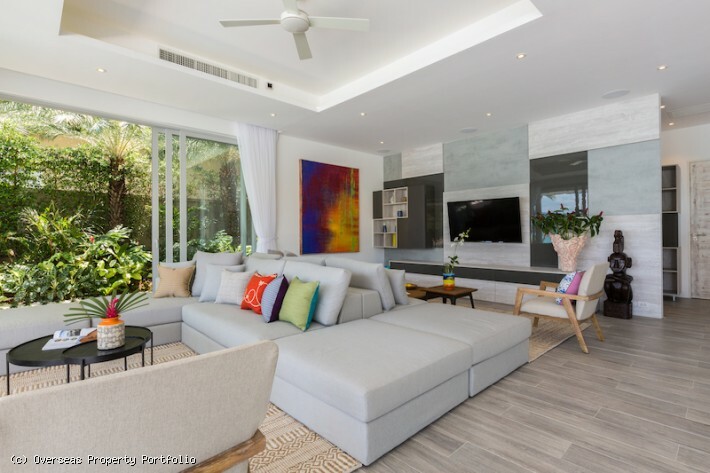 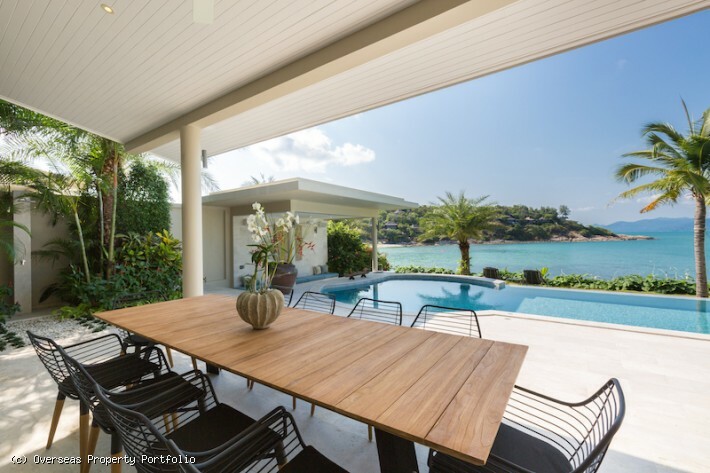 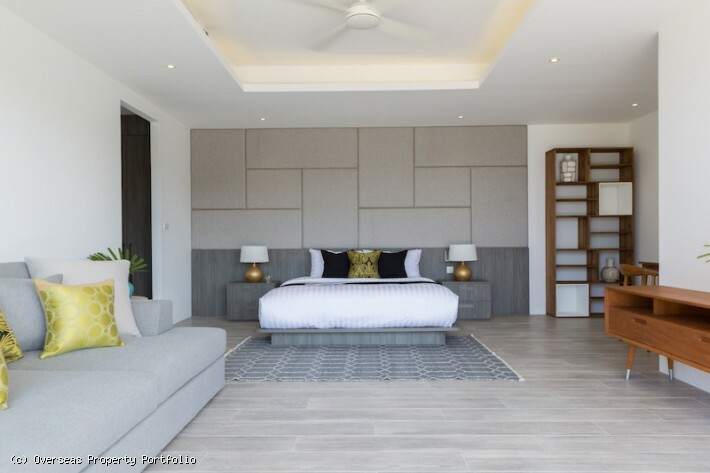 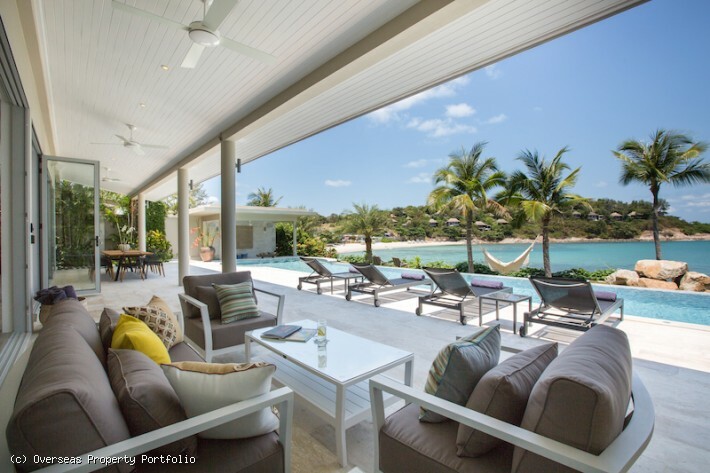 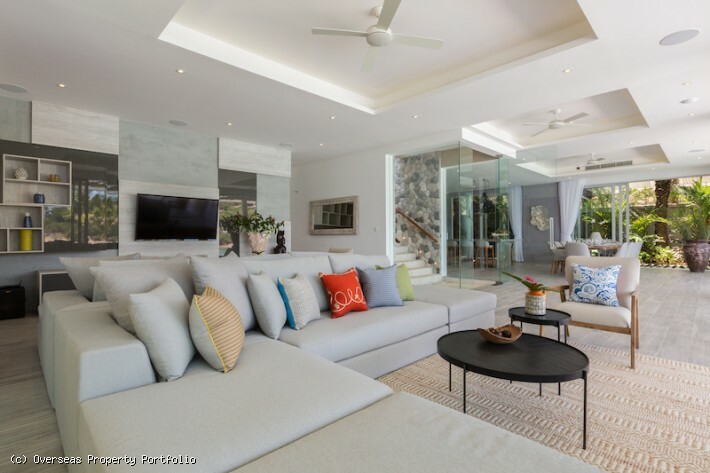 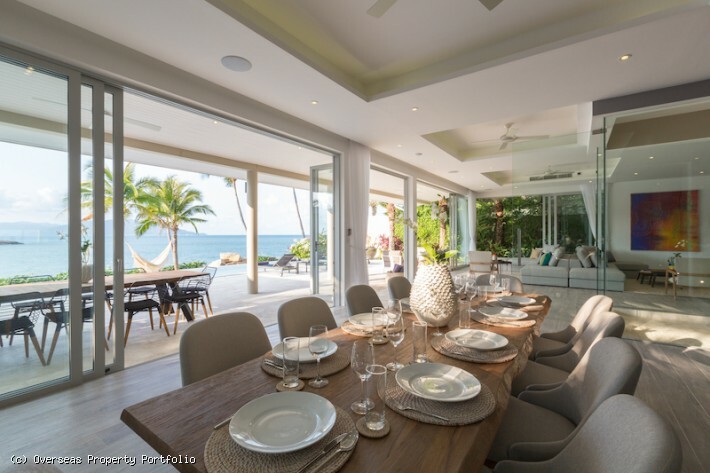 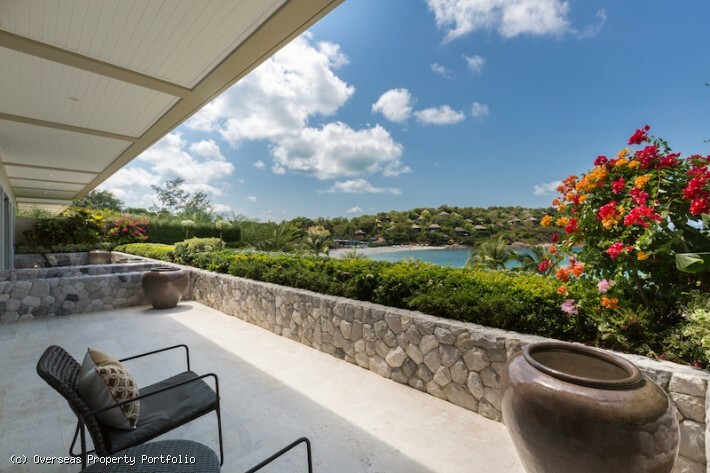 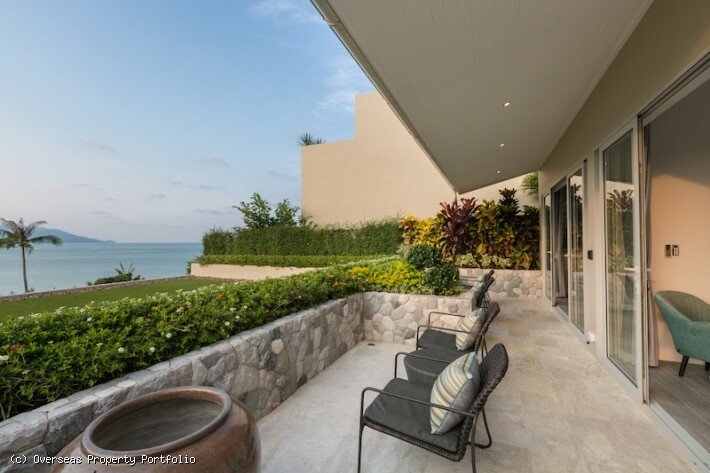 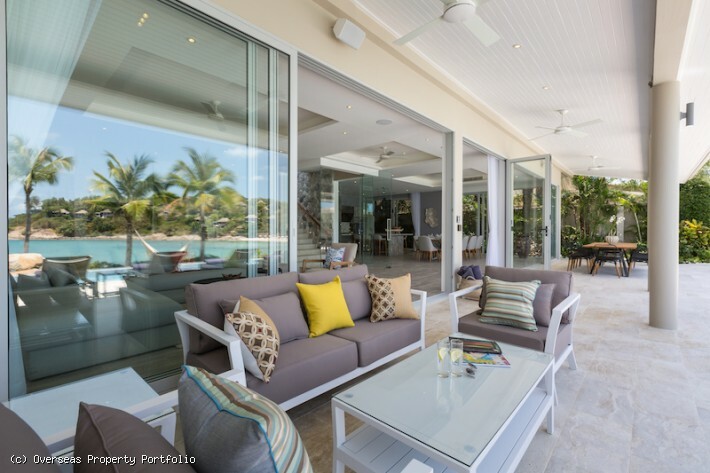 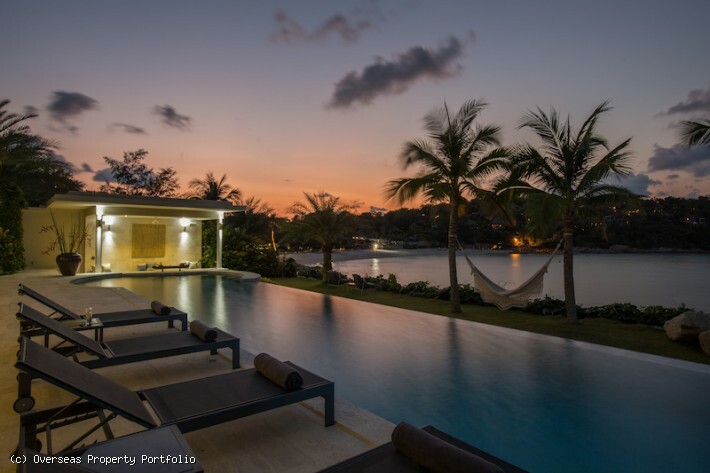 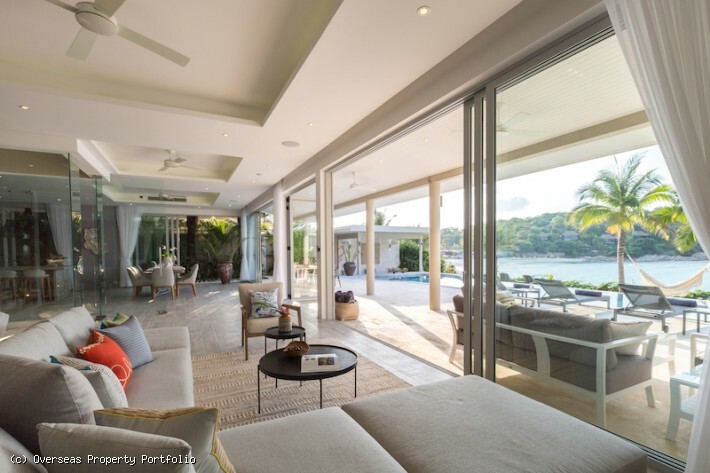 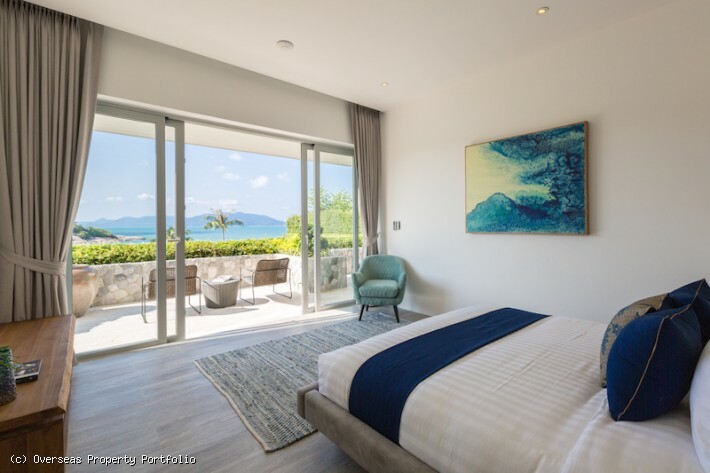 This exclusive and contemporary five bedroom luxury Koh Samui villa for sale has an abundance of indoor and outdoor spaces and is located directly on the private pristine beach of Samrong Bay and enjoys jawdropping views and cool breezes all day long. 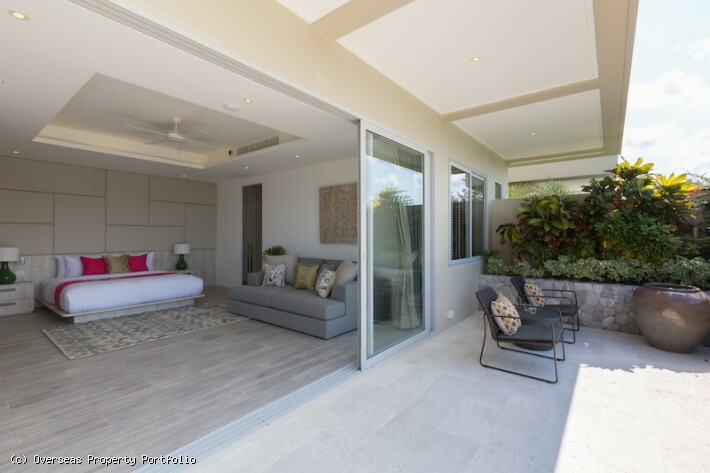 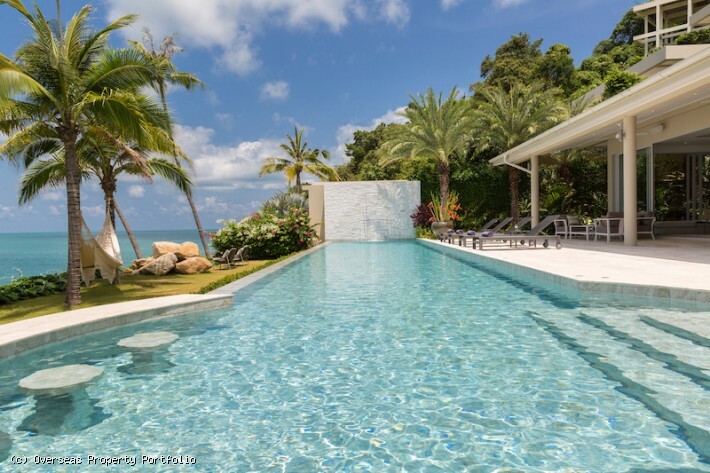 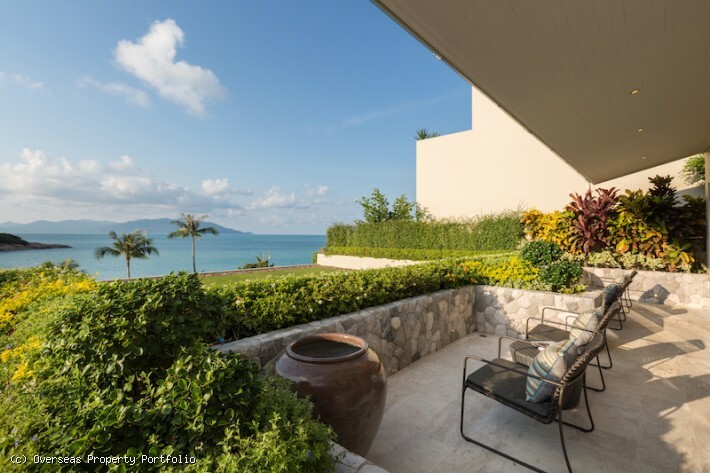 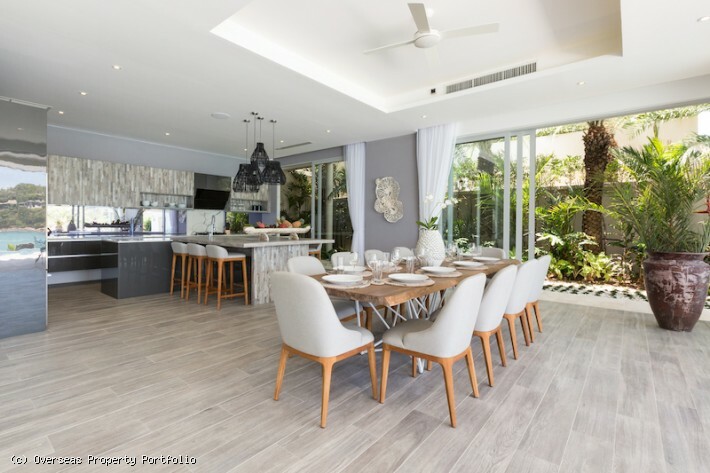 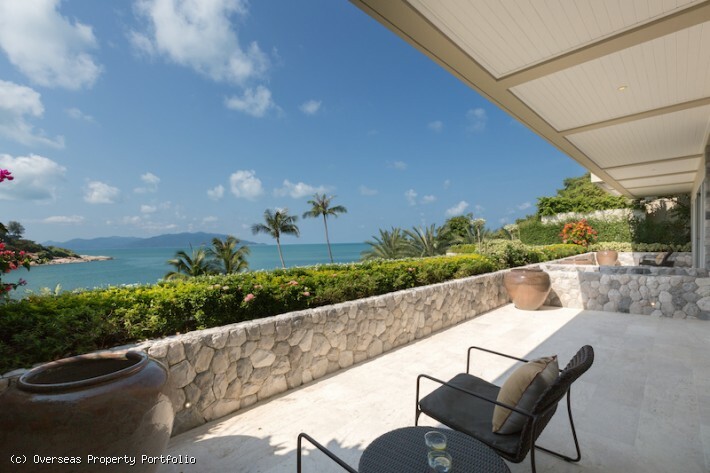 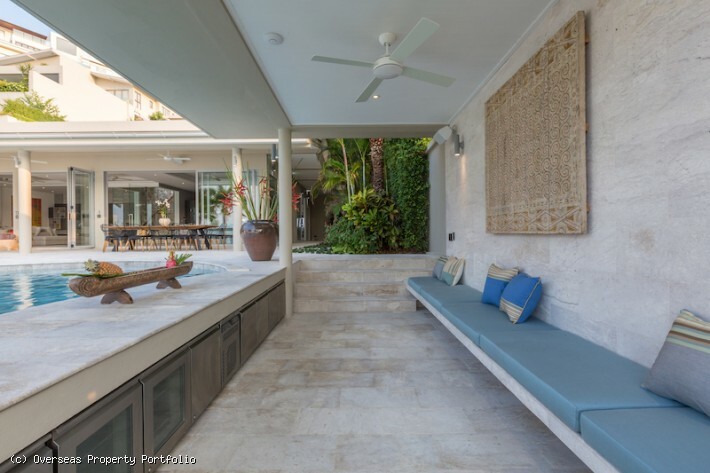 Very close to the new Ritz Carlton Resort this palatial Koh Samui property for sale sits in a quiet area with 24 hour security and has its own private tropical garden and direct access to the beautiful sandy beach. 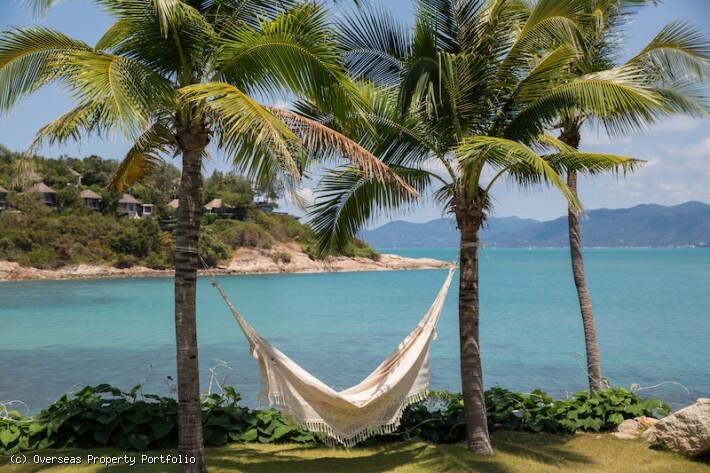 The villa has direct views to the beautiful island of Koh Phangan and also overlooks the headlands containing the greenery and Eco friendly villas of the world renowned Six Senses hotel. 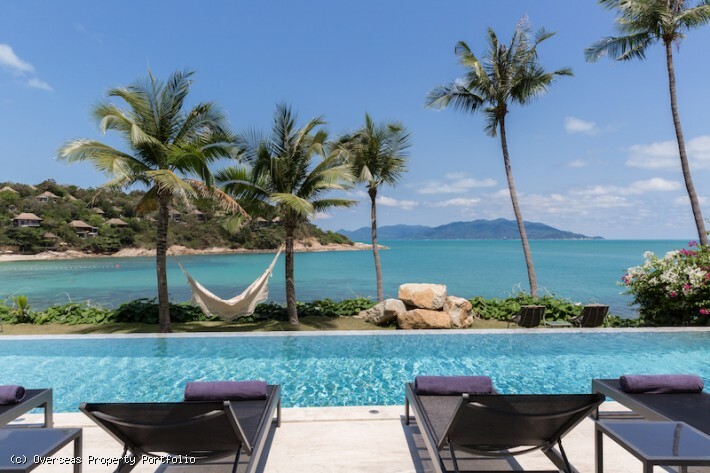 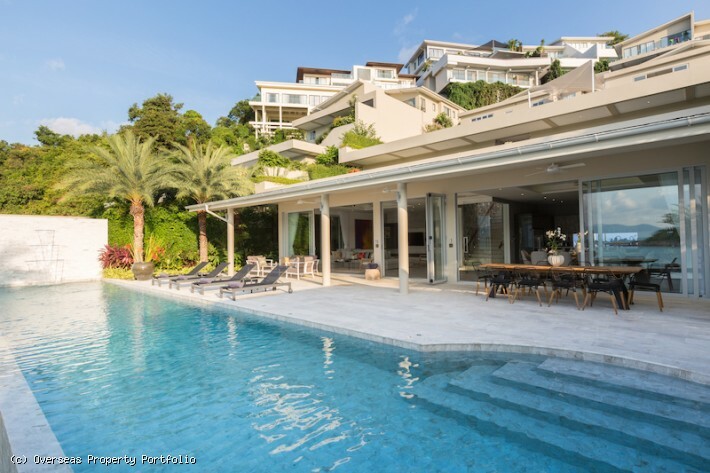 Spread over three floors, the impressive Koh Samui villa for sale is specified to the highest standards and offers a captivating blend of luxury, privacy, elegance and comfort. 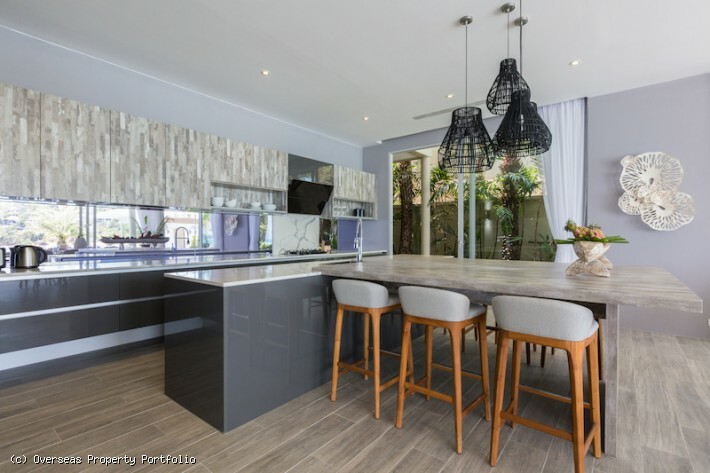 The ground floor is a spacious open plan living and dining area along with a fully equipped kitchen featuring two fridges, two ovens, wine fridge and high end coffee machine. 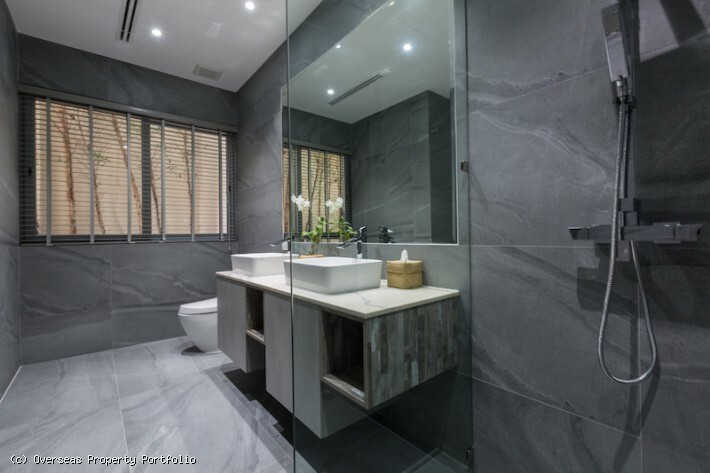 To the rear is a guest wc. 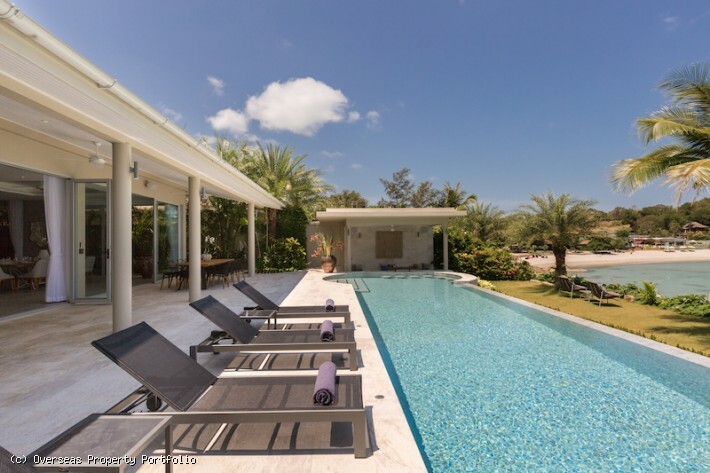 This stylishly furnished area provides plenty of space for gatherings and opens onto a wide terrace and 83.2 sq/m long infinity edge swimming pool, looking to the garden, beach and the sea beyond. 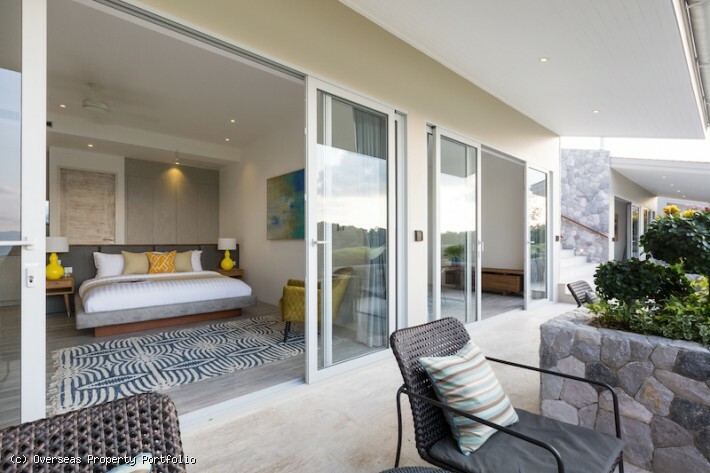 To the side is a fully equipped sala bar with surround sound system, a perfect place to relax, enjoy a drink or just take in fantastic vistas. 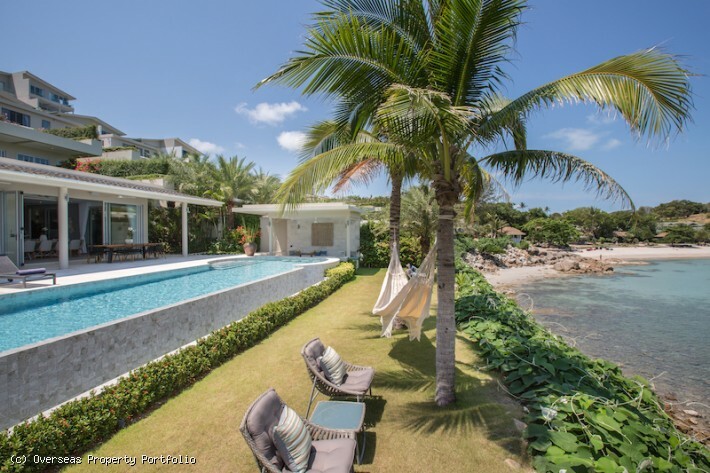 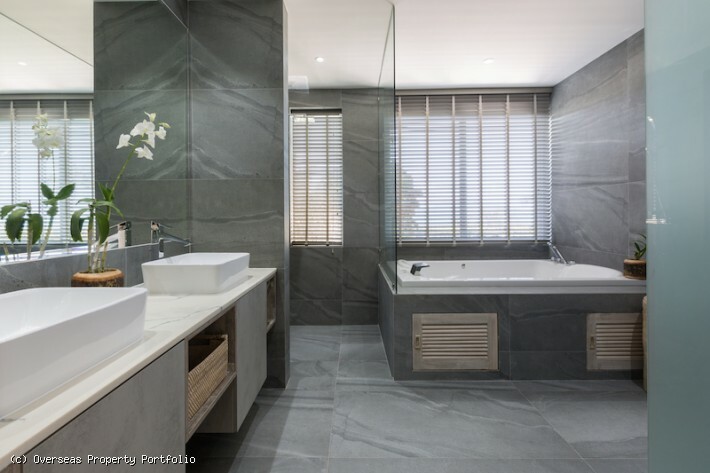 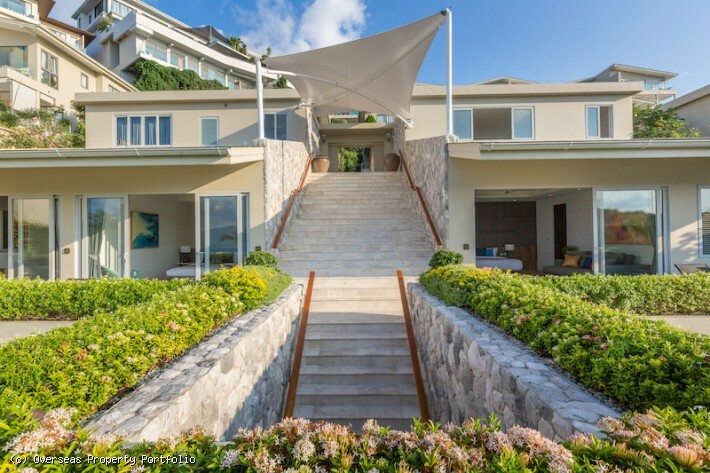 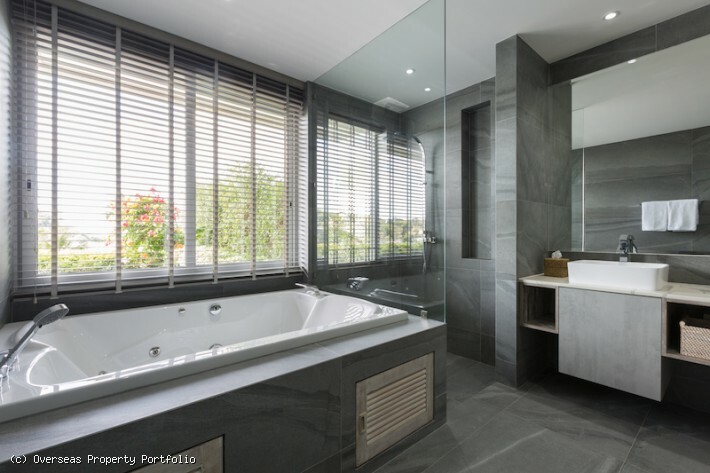 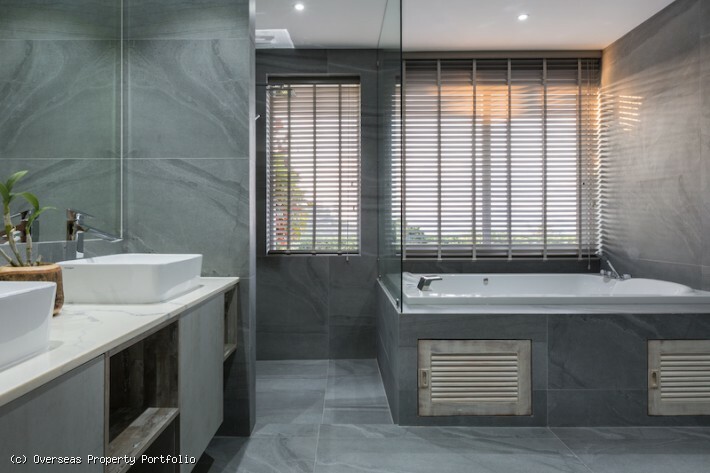 All five bedrooms are furnished and decorated with keen attention to detail and feature ensuite bathrooms fitted with his and hers vanities and jet spas..Two bedrooms occupy the first floor and three stunning sea view bedrooms occupy the top floor of this opulent villa. 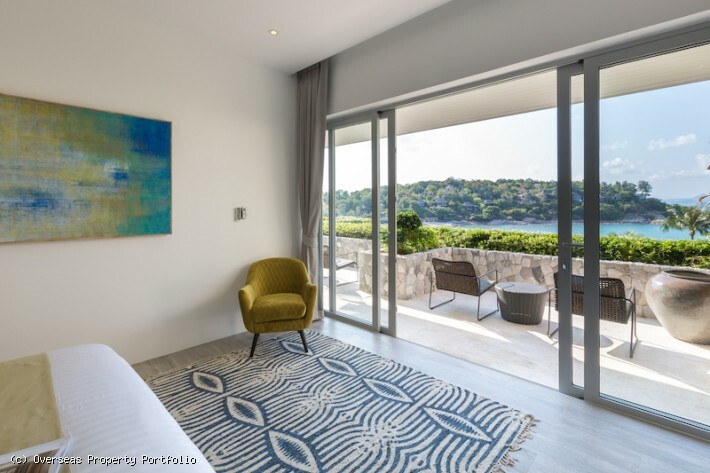 All bedrooms boast stunning sea & pool views. 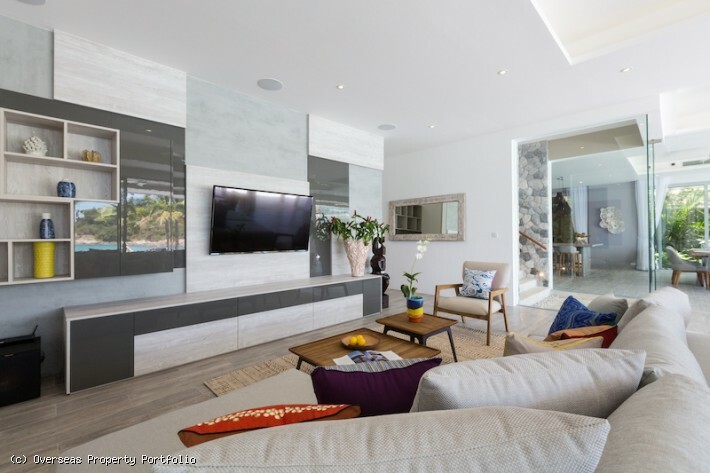 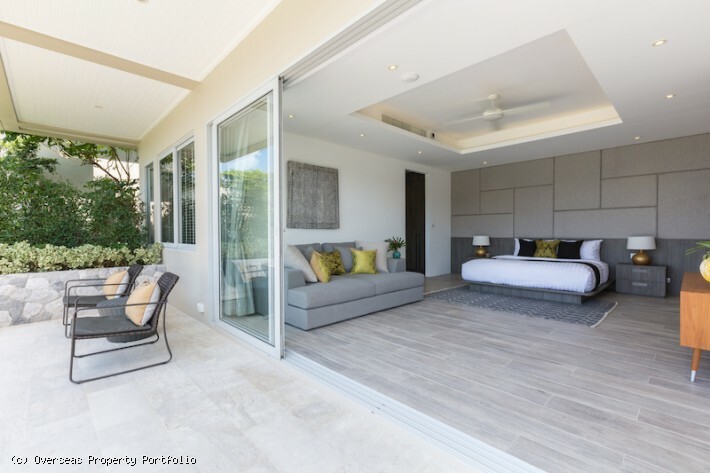 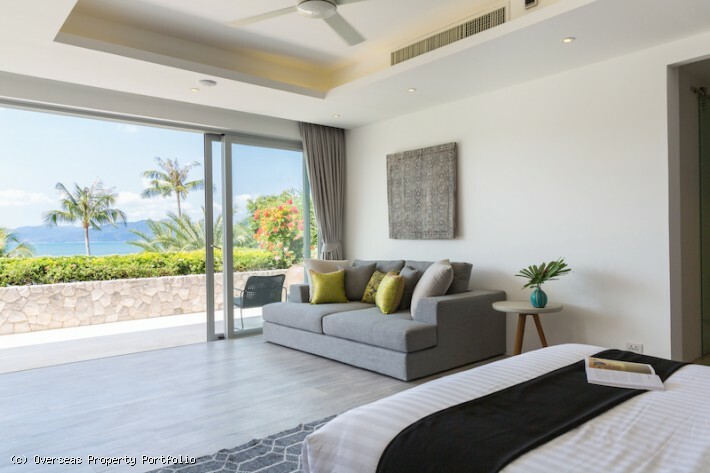 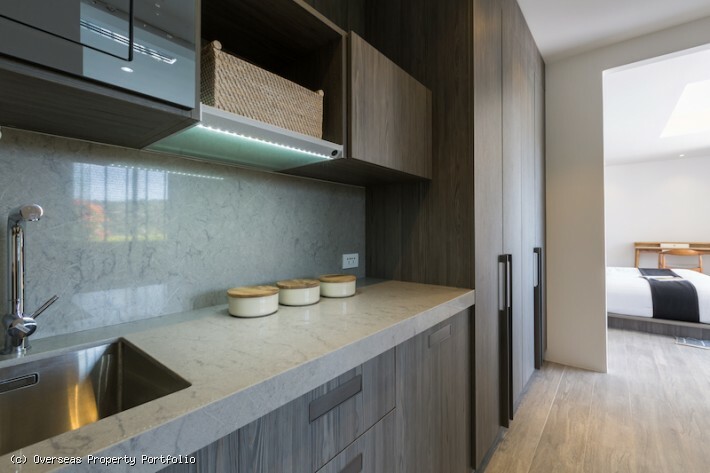 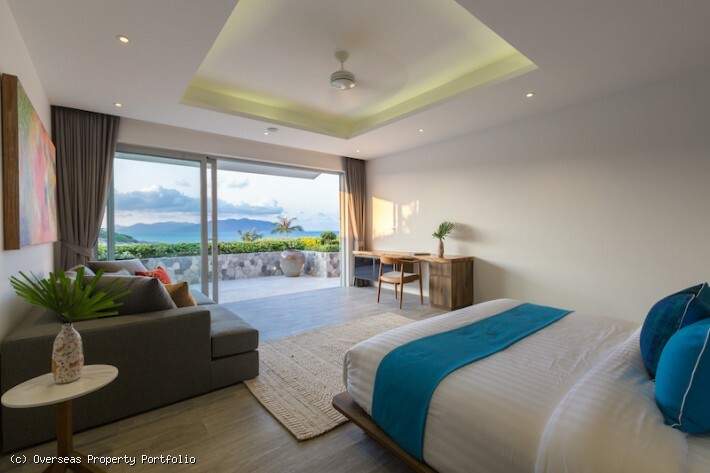 This Koh Samui Property for sale includes a full Home Automation System, security, maids quarters and private enclosed car park. 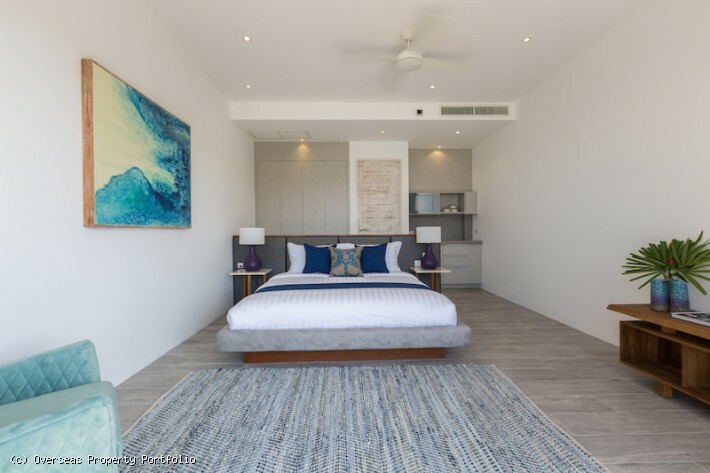 This Koh Samui villa for sale will be finished at the end of December 2018 and will fully furnished at completion. 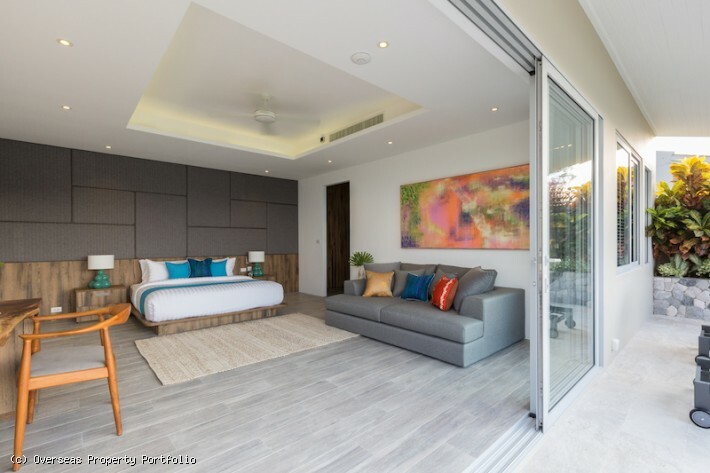 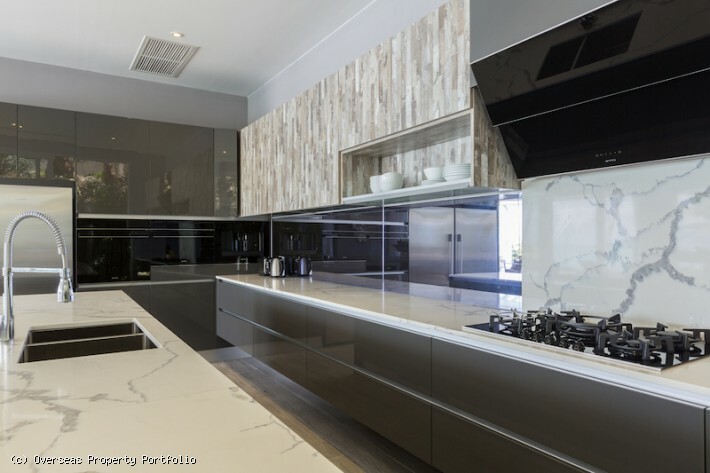 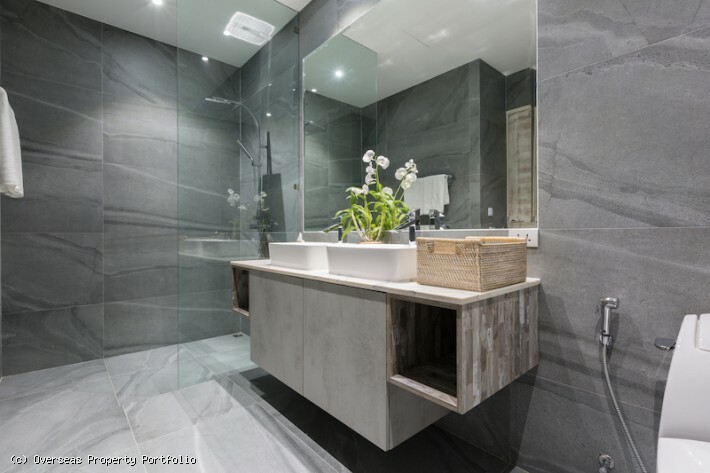 Note that the photographs provided are from a similar villa in the same development but the furnishings provided will be the same style and quality. 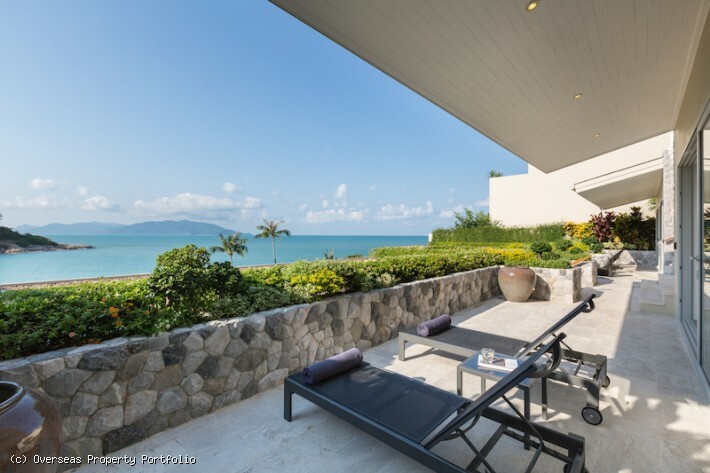 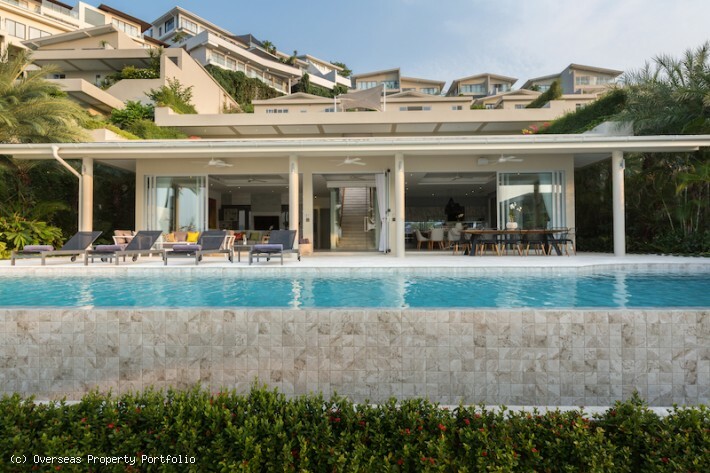 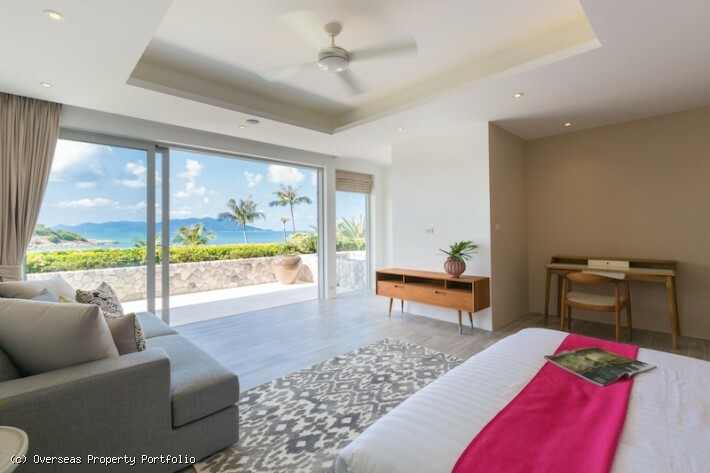 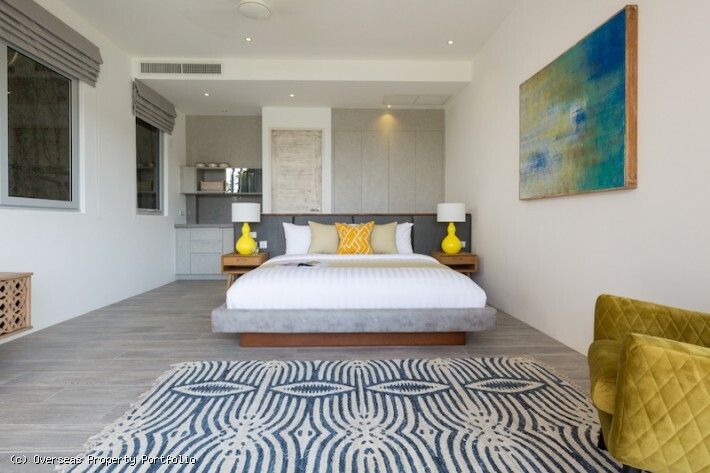 Situated in the sought after and popular location of Plai Laem on the north-eastern coast of Koh Samui, the villa will make an ideal rental investment due to its superb location. 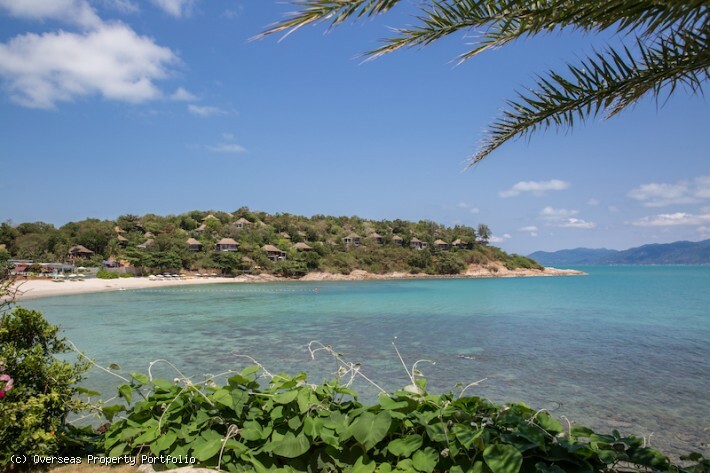 The beautiful beach of Choeng Mon is just 5 minutes away with many restaurants and bars to choose from, plus the numerous boutique shops of chic Fisherman’s Village and The Wharf in Bophut, along with the nightlife of Chaweng are just a 10 minute drive away in each direction.